Known for his platinum record Deja Vu, he was best known for being a part of the rap duo Lord Tariq and Peter Gunz. Their hit single was "Deja Vu (Uptown Baby)." He became a manager when his music career began to fizzle out. 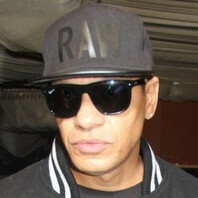 How much is Peter Gunz worth?